g2 Energy have recently completed works on their 12th Battery Energy Storage System (BESS) project, taking us over the 200MW threshold for this technology. The new site will assist with grid balancing to ensure a steady supply of energy to the National Grid. 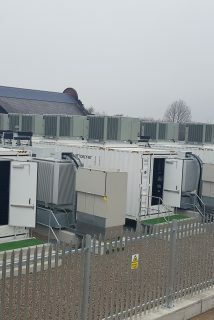 g2 Energy have a number of Battery Storage and Gas Peaking Plant sites in the pipeline for the remainder of 2019. Ranging from 11kV to 132kV, g2 Energy will be completing the Balance of Plant and the Contestable Works on a number of these sites, situated throughout the UK. Our experience in the Industrial and Commercial sector also continues to grow, with the number of these types of projects on-going in Q1 of 2019 in double figures. We have been commissioned to complete the Contestable design and build works on these projects, with the networks being adopted either by the local DNO, or by an IDNO. Our in-house Civil and Electrical Design teams mean we’re able to work to a number of client, DNO and IDNO specifications.